Quotidian Engineering & Development Acquires Intellectual Property For Cryptocurrency Payment From Upstate Networks Inc.
Quotidian Engineering & Development, a Lewes, Del. based technology development company, has acquired the intellectual property for a blockchain based payment token for unattended merchandising from Upstate Networks Inc. Upstate Networks Inc., a Utica, N.Y. based computer engineering, design and manufacturing firm, developed the Ethereum based token, PLUM (payment layer for unattended merchandising), for vending, self check-out, car wash and laundry systems. The PLUM hardware allows a vending operator to begin accepting bitcoin and other established cryptocurrencies, which are becoming increasingly popular with consumers. It also gives the operator the ability to create their own cryptocurrency, which could prove a helpful marketing tool. 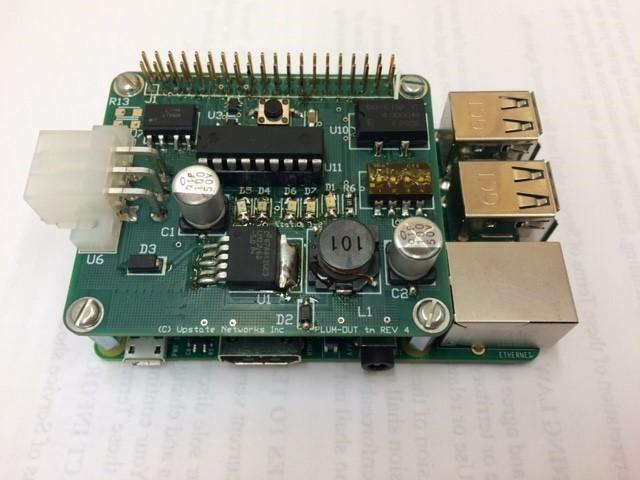 The PLUM hardware consists of a circuit board with a single board computer Raspberry Pi for unattended payment systems. The Raspberry Pi and PLUM hardware are installed as a slave device for an existing vending machine controller. This allows the Raspberry Pi to handle the functions normally controlled by the controller such as beginning or ending a session as well as accepting or rejecting a session. With the Raspberry Pi connected to the internet, a remote client can be used to replace the vending machine controller and perform all of its functions. The PLUM hardware allows customers to pay with bitcoin, PLUM coin, or a custom-made cryptocurrency token. The PLUM Out is a piece of hardware known as a “Hat” (Hardware Attached on Top) used in conjunction with a Raspberry Pi with Raspbian OS. PLUM-Out allows a Raspberry Pi to act as a cashless device when combined with any multi-drop bus vending product, according to Quotidian’s website. The PLUM In is a device allows the Raspberry Pi to handle incoming funds and can be used to store them electronically in the cloud when connected to the internet or to another local client. The PLUM Picker controls the item selection process. When used in conjunction with a Raspberry Pi, the hardware keypad can be replaced with a touchscreen to handle the item selection process. With the Raspberry Pi connected to the internet, the Plum Picker can be used as an interface between a vending machine and the cloud to enable the use of a cell phone or a remote client as a selection device.